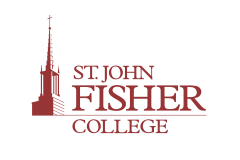 she had designed for the Henry Street Settlement to signify "we are all one family". She is buried in Mount Hope Cemetery, Rochester, NY. 1893 she and a classmate, Mary Brewster, moved into a lower east side neighborhood and provided nursing care among the community. Neighbors came to the apartment for help on health, education, jobs, housing. This was the genesis of public health nursing. 1905 helped to organize the National Association for the Advancement of Colored People (NAACP). Wald L.D. (1902). The nurses' settlement in New York. American Journal of Nursing, 1902; 2: 568. Wald, L.D. (1912 ) Address by the President of the National Organization for Public Health Nursing. American Journal of Nursing 13, 924-6. Wald, L.D. (1915). The house on Henry Street. New York: Henry Holt and Company. Wald, L.D. (1934). Windows on Henry Street Boston: Little and Brown. Backer, B. (1993). Lillian Wald: Connecting caring with activism. Nursing & Health Care 14(3), 122-9. Buhler-Wilkerson,K. (1993). Bringing care to the people: Lillian Wald's legacy to public health nursing American Journal of Public Health 83(12): 1778-86. Cook, B.W. (1977) Female support networks and political activism: Lillian Wald, Crystal Eastman, Emma Goldman. Chrysalis 3, 43-61. Daniels, D.G. (1989). Always a sister. The feminism of Lillian D. Wald. New York: Feminist Press. Fitzpatrick, M.L. (1990). 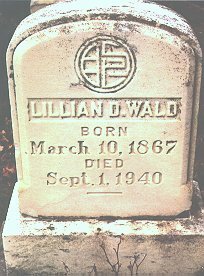 Lillian D. Wald: prototype of an involved nurse. Imprint 37(2): 92-5. Silverstein, N.G. (1985) Lillian Wald at Henry Street, 1893-1895 Advances in Nursing Science 7(2): 1-12.